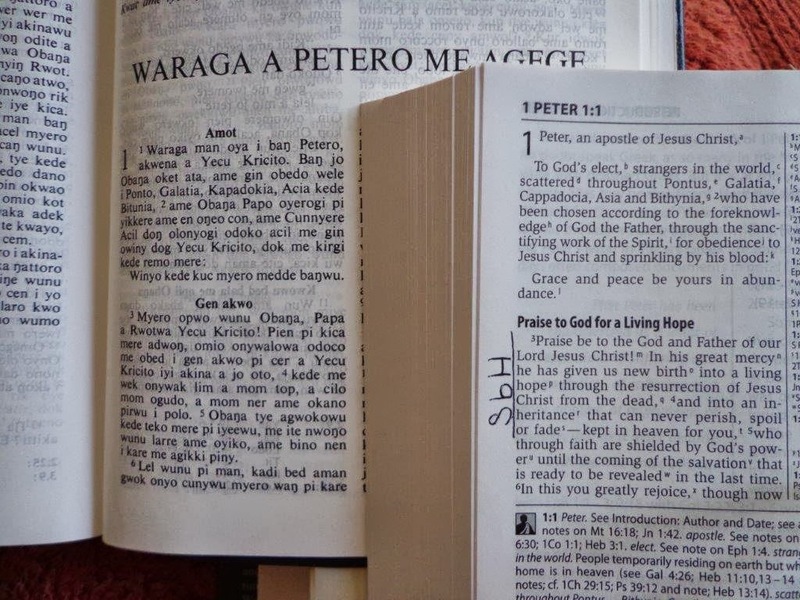 The Bible Society of Uganda offers Bibles in dozens of the 50+ languages spoken here. 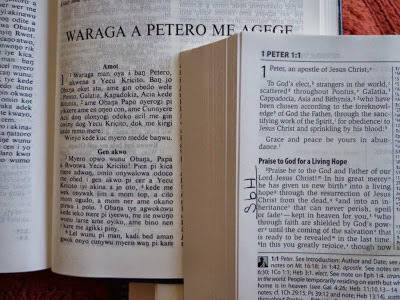 Somehow I expected them to be fully stocked and was disappointed when only 18 Bibles in Lango were available and when I couldn’t find any in Alur without ordering them. Apparently I should have ordered them about six months ago to be sure they arrived in time for traveling to Lira and Nebbi. 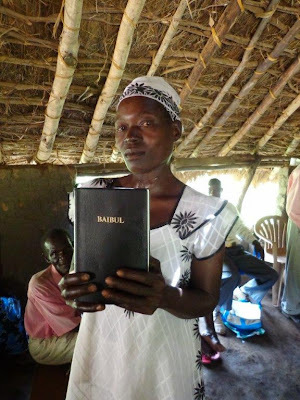 Thank you to Paul who coordinated the Bible project and Beaverdam Baptist Church who gave selflessly so that people in Uganda who don’t even earn the cost of a Bible in a month’s time can have access to the Word of God for themselves. The lady in this photo testified that she loaned her Bible to someone whose house subsequently burned down along with her Bible. She was unbelievably grateful for the way God restored his Word into her hands (she really was very happy, it's customary not to smile in photos).